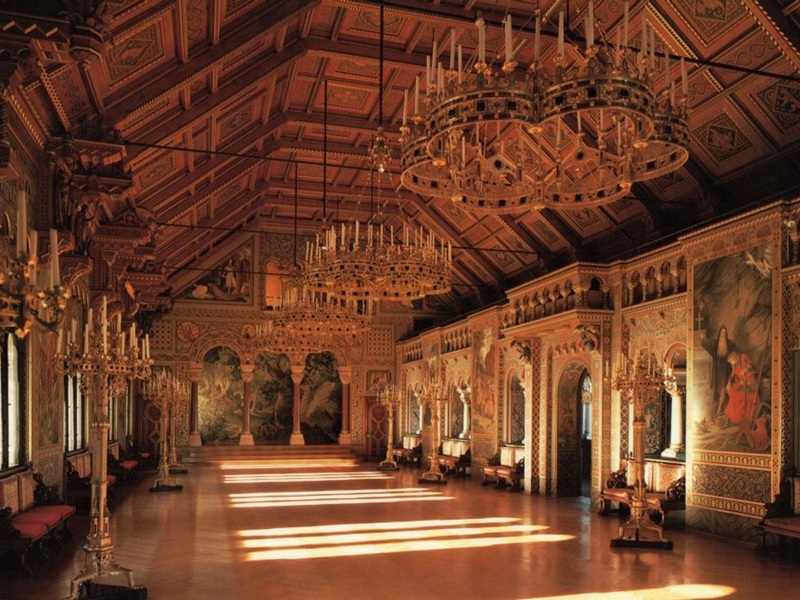 The magnificence of a palace is often reflected in its rooms. Some portray elegance and opulence, some simplicity and utility, some have a style of architecture which puts the entire structure to shame, and some have a historical significance. At any rate, when you are on a tour of a residence or other building, pay close attention to the decor and embellishment. Unfortunately, many times, pictures are prohibited, so the number of pictures that I can use to illustrate my post is rather small. Here are some examples of interesting or very special rooms. 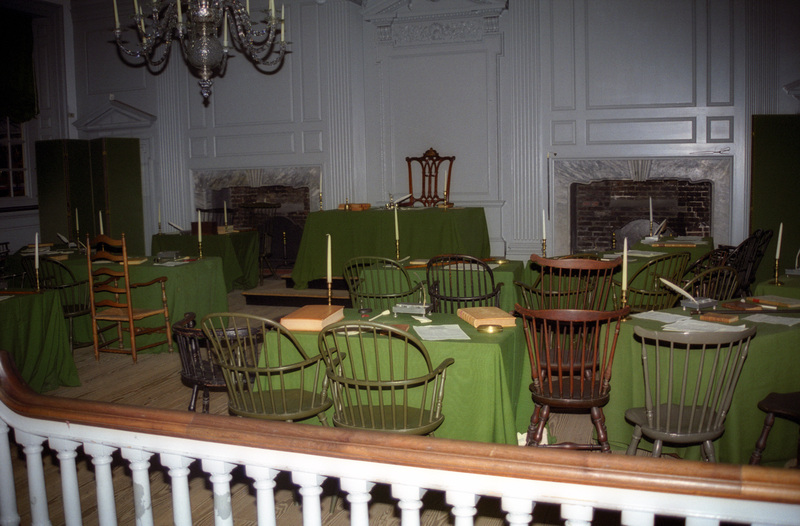 Independence Hall in Philadelphia features the room where the Declaration of Independence was signed and where the Continental Congress met. 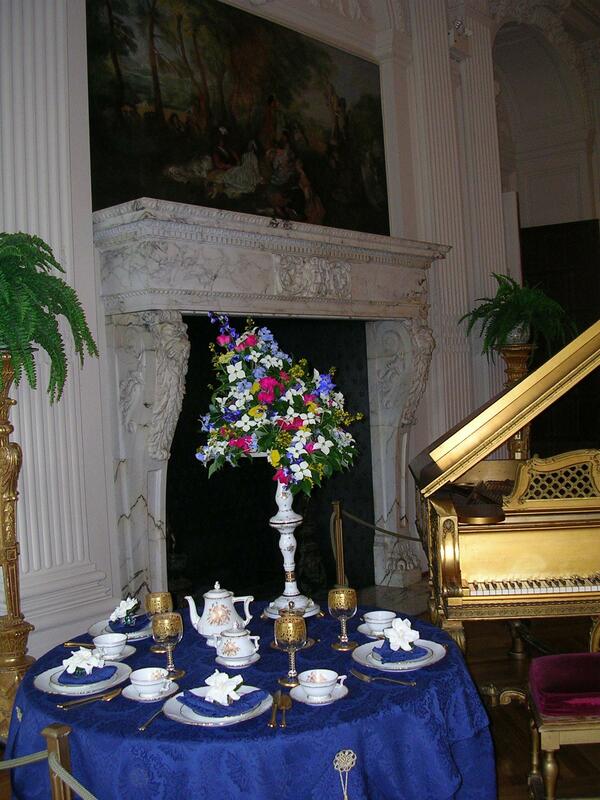 Rosecliff, one of Newport’s mansions, has simplicity and elegance. 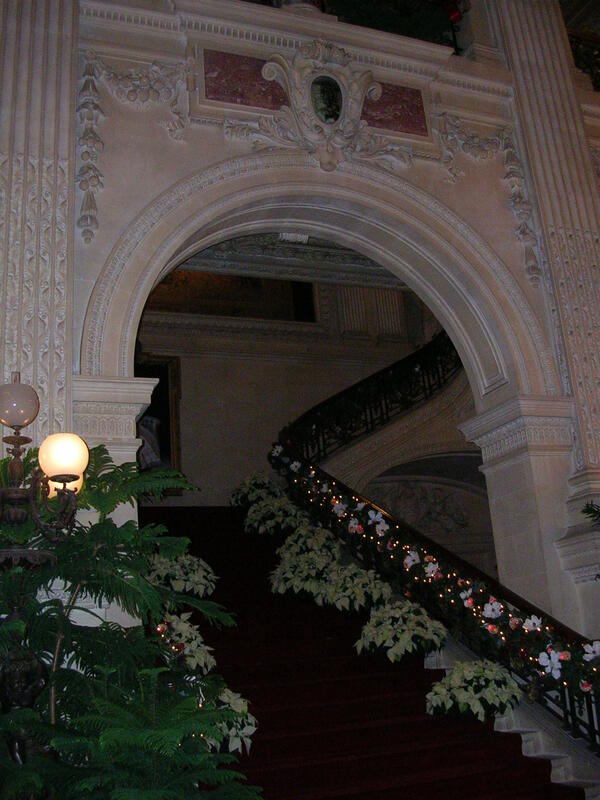 The Breakers, also in Newport, is beautifully decorated at Christmas time. 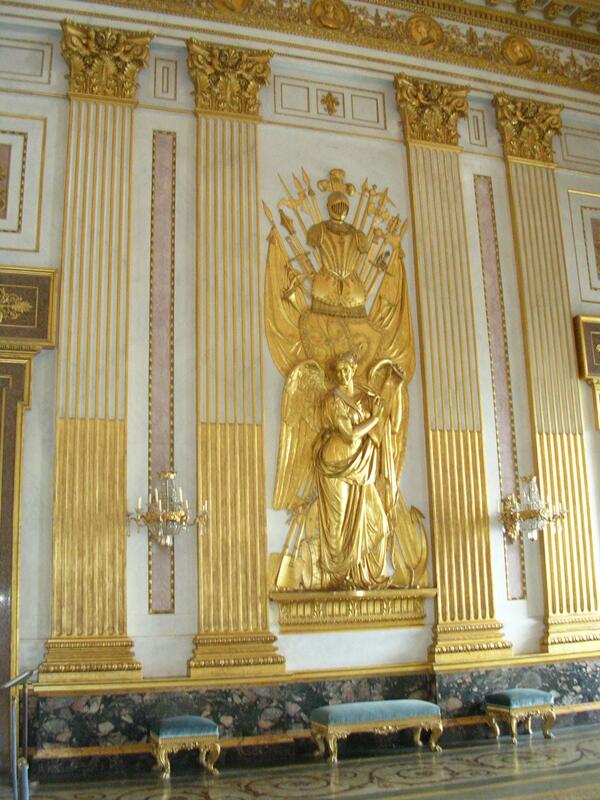 Versailles is the epitome of opulence both in its exterior and interior. 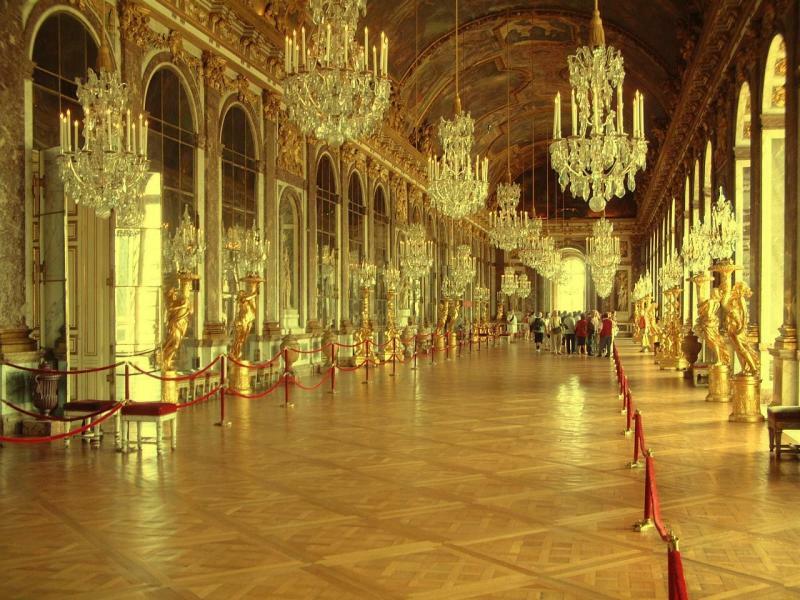 Versailles’ Hall of Mirrors is an outstanding example of the excesses of the French Monarchy. 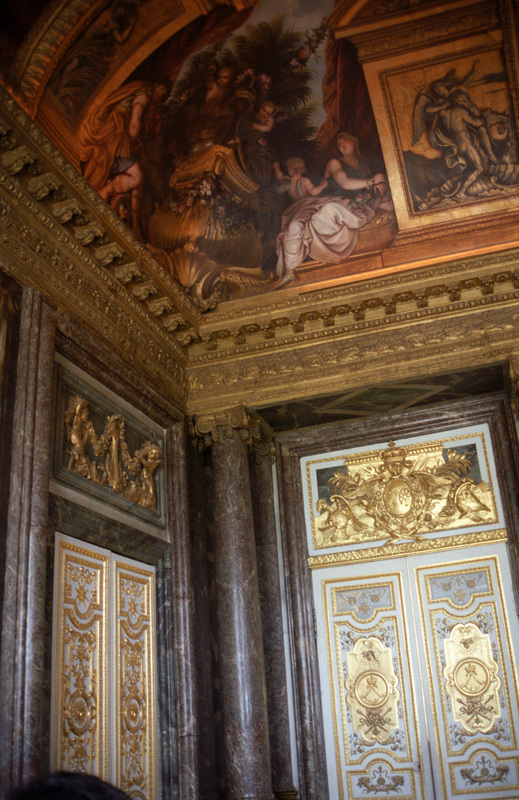 The Royal Palace in Caserta, Italy, is another example of posh opulence. 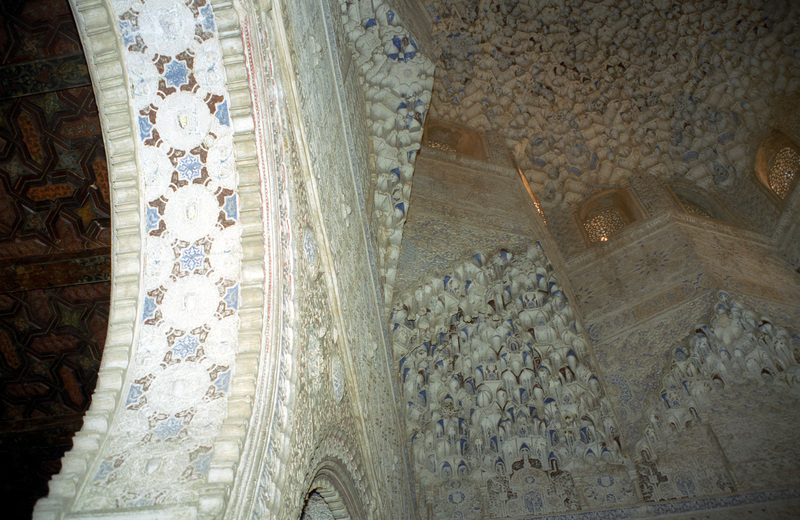 The interior of the Alhambra, in Grenada, Spain, is magnificent, as evidenced by the Sala Nazaries. Neuschwanstein is one of the most beautiful castles in the world.